INTELLIGENCE is needed to CREATE a COMPUTER , how much more intelligence is needed then to create the brain (computer) we are born with ? 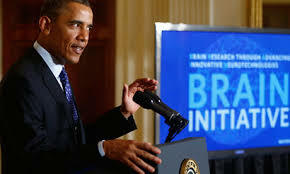 President Barack Obama recognizes the human brain (computer) leaves any computer that man has created far behind . "The most powerful computer in the world isn't nearly as intuitive as the one we are born with ."